Missing and damaged teeth can take some of the joy out of life. Damaged teeth often hurt, and you may find yourself avoiding some of your favorite foods – especially those that are crunchy or require a great deal of chewing. Why should you have to suffer when solutions are available? Crowns and bridges have been used for decades to repair damaged teeth and replaced missing teeth. As dental technology has improved, so has the quality of these restorations. You’re your restorations are crafted from porcelain or ceramic, most people can’t tell the difference between a crown or a bridge and your own natural teeth. Additionally, crowns and bridges are often covered by dental insurance, making them more easily affordable than other tooth replacement options. Edmond dentist Dr. Gray is happy to review your options and discuss your needs so that he can provide a professional recommendation for you. Crowns aren’t complicated to place. If we decide that a crown is right for you, we’ll shape your tooth to accommodate the crown, then take photos and impressions to send to the lab that will be crafting your crown. We’ll place a temporary crown to protect your tooth. Once your crown is complete, we’ll call you back to our office so that we can remove the temporary crown and check the fit of your permanent crown. Once you and Dr. Gray are happy with the appearance and fit of the crown, we’ll cement the crown into place. A bridge is called that because it quite literally “bridges” the gap left by missing teeth. Your bridge is made up of an artificial tooth (which we call a pontic) that is held in place by a crown fitted over your adjacent teeth or dental implants. To determine whether a bridge is the right choice for you, Dr. Gray will meet with you and perform a thorough examination. Which tooth replacement system to use is an important decision, and you and Dr. Gray will address all your concerns and also any concerns for the future that you might not be aware of. Bridges improve the appearance of a smile marred by missing teeth, and they also prevent other teeth from shifting because of the gap. Unfortunately, however, they can’t prevent bone loss in the way that dental implants can. Dr. Gray will discuss this concern with you and determine whether this is a factor in your decision. 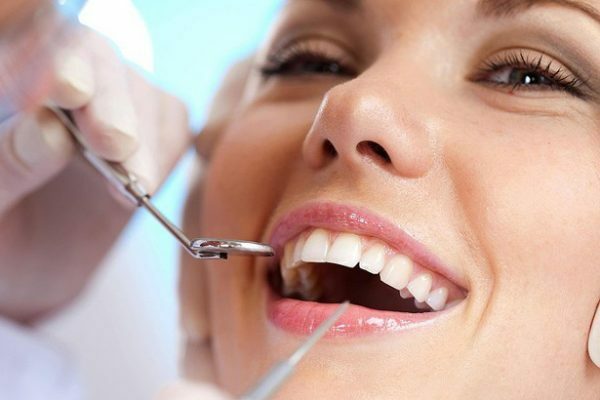 Are you tired of dealing with the hassles caused by damaged and missing teeth? Call our Edmond, OK dental office today to schedule your appointment with Dr. Gray.